Swaminarayan Akshardham was opened on November 6, 2005 and has already become an outstanding representation of Indian Culture. Artistically mesmeric, scientifically stunning, and culturally moving, Swaminarayan Akshardham is a combination of traditional stone art and architecture, Indian culture and civilization, ancient values and wisdom and the best of modern media and technology to create a powerful experience of Indian Heritage. Watch the grand opening ceremony attended by over 20,000 invitees at the 100 acre complex. Presided over by Akshardham's creator Pramukh Swami Maharaj and graced by the President of India. Dr. A P J Abdul Kalam, the Prime Minister of India. Shri Manmohan Singh, the Leader of the Opposition Shri L K Advani, the LT Governor of Delhi Shri B.L. Joshi. and many other leading dignitaries from all over the country. The celebrations were telecast live across the world, including a traditional dedication ceremony, patriotic songs and cultural dances with spectacular lighting. 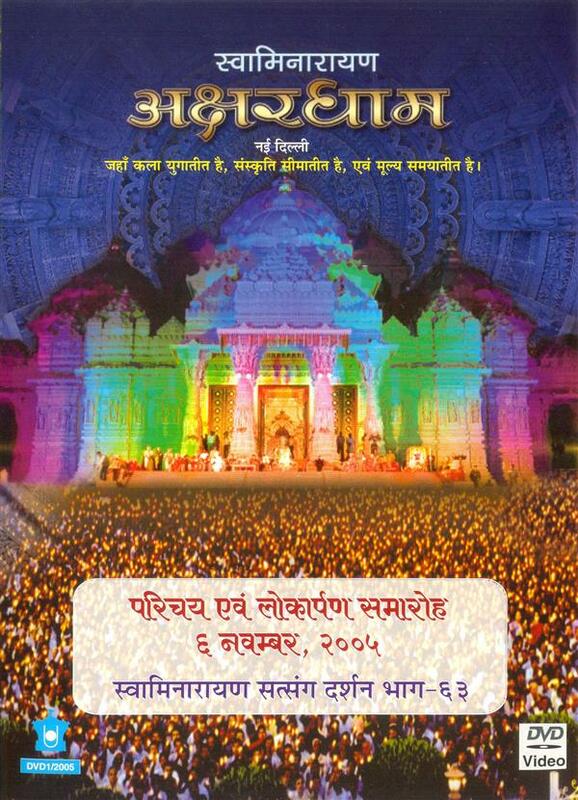 These once-in-a-lifetime celebrations are presented in the enclosed DVD, bringing together the art, architecture and spirituality of Akshardham, the patriotism of all those gathered, and the joy of inaugurating a truly unique wonder of today's world. The DVD also includes a short introduction to Akshardham with exclusive video footage from inside the intricately carved monument, from near the panels of the 148 life-size elephants - hand carved from pink stone, the walk-through exhibitions of universal values, the Giant-Screen large format film about the 7 - year journey through India of the child-yogi Neelkanth Varni, the sail-through experience of Indian heritage, and the emotionally moving musical fountains. This introduction is just a miniscule glimpse of the wonders awaiting you at Swaminarayan Akshardham, New Delhi. For detailed information on Swaminarayan Akshardham, please visit www.akshardham.com.